This ride was planned for several weeks. The idea behind this ride was to include persons who are not used to long distance cycling. 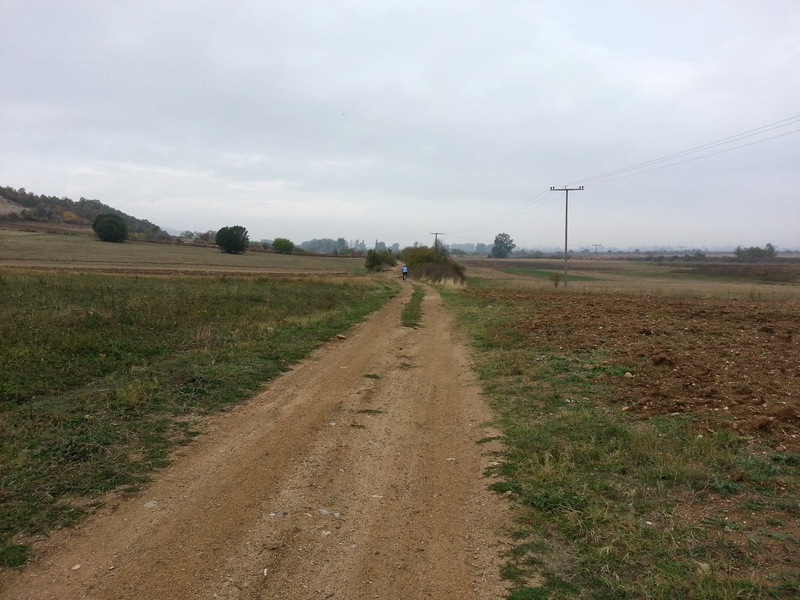 It is a very flat route mainly over roads through villages on the outskirts of Skopje, Macedonia. Sadly, most of the people planning to join in on the ride cancelled for various (very legitimate) reasons, so on the morning of 11th October, it was only my wife and me starting out. The weather was cloudy, with only 10% of chance of rain on the weather forecast. I packed our windbreakers, bottles of water and some energy bars in a backpack, and we started at 8 AM. It turned out that we hit the 10% chance of rain after some 8 kilometers, as we were exiting the city. It wasn't a huge downpour, but it stuck with us for most of the ride out. We put on our windbreakers and just continued riding, careful not to hit the very large puddles or not to veer into the traffic. Riding in the rain is made easy by the cycling helmet, since it provides a great cover from raindrops flying into your face. Just have a good windbreaker to keep your body dry and accept the fact that you'll be muddy as hell when you return home. After around 15 kilometers of riding in the rain, we cleared the rain clouds, and the road started turning into patches of moisture on dry asphalt. Also, we were approaching Katlanovo, which was our planned turning point, and traffic became much sparser, allowing us to ride next to each other. Things were looking up. If only there wasn't that weird thing with my bike when swerving to avoid puddles - it felt soft, undecided which way to go. I looked down, my rear tire was flat! We stopped and I started pumping the tire hoping it just deflated itself through the valve. But as I pumped, there came the all too familiar hissing sound from the tube. It took me some 25 minutes to replace the tube, since i fiddled with the portable toolkit, tried to be careful with the wheel rim paint job and took extra time and care to look for the cause of the flat. 30 minutes, a drink of water and an energy bar later, we were off again. And just as we spun up, we came to the intersection where our GPS told us to turn right towards Oreshani. The start of the road was a narrow asphalt path, but for our purposes it was great. I predicted zero traffic, so it should be a quick ride to Oreshani. After a couple of bends, things weren't looking that great though. The asphalt road ended at a gate, and there was a dirt road next to the gate continuing through a lot of branches and bushes in our assumed general direction. We were really confused. The GPS insisted that there is an actual road ahead, but the amount of mud on the dirt road was not promising. Yet we decided to press on. After around 5 kilometers of dirt, mud, bushes and a lot of holes we were back on asphalt. Luckily, no flats or falls in the mud. I'm sure my wife will remind me of this segment in the future ;). 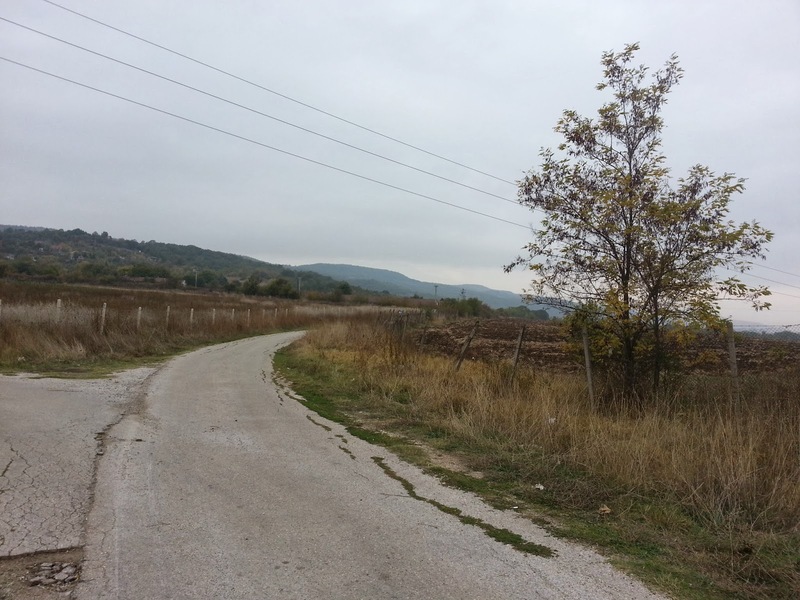 We pressed on through Oreshani, Studenichani and Drachevo towards Skopje. There were no incidents on the road back, although the final 10 kilometers were becoming boring since we rode straight into traffic on the outskirts of Skopje and had to be very careful of semi trucks passing us. In total we did 53 kilometers, and took nearly 4 hours to pass them. The main deterrent proved to be the rain. The takeaway from this ride is: Do not fuss the weather and road conditions, just be warm, bring tools and spare tubes and have a charged cell phone with GPS. You'll be OK.
What are your experiences of adventure rides? Tell us in the comments!